While the year is still young I thought I’d write about the Pantone Colour of The Year, as you are soon to be seeing a lot of it. Each year the Pantone Colour Institute chooses one colour from their repertoire of 5000 different shades that they feel encapsulates the prevailing current mood. The colour zeitgeist if you will. Pantone take into account current affairs, politics, trends in culture and the arts combined with colour psychology and history, before making their forecasting decision. ‘Ultra Violet’ follows 2017’s ‘Greenery’, a year in home interiors when plants were everywhere to be seen. So we can now expect instead to see blue toned purples creeping in to interior accessory ranges, and right across the spectrum of design; from fashion, products and technologies to branding and corporate identities. Purple or Ultraviolet have long been associated with counterculture, non-conformity and creative genius (Prince, Hendrix to name just two who flew the flag for purple), besides the mystical and spiritual. Leatrice Eiseman the Creative Director of Pantone says “We are living in a time that requires inventiveness and imagination. It is this kind of creative inspiration that is indigenous to Ultra Violet …. that takes our awareness and potential to a higher level. 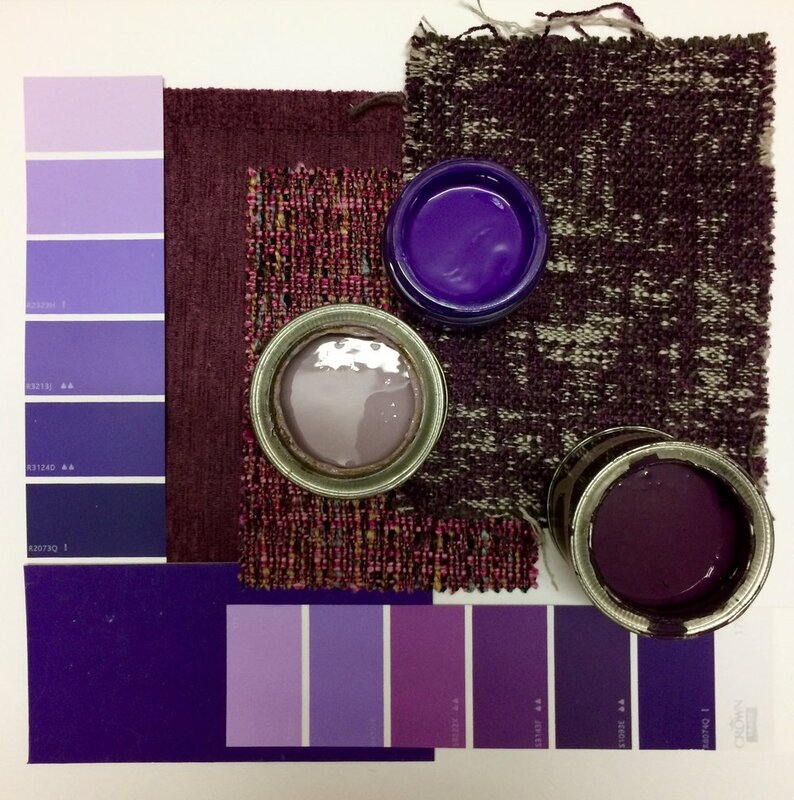 From exploring new technologies to a greater galaxy, to artistic expression and spiritual reflection intuitive Ultra Violet lights the way to what is yet to come.” Are you inspired to use the hue in your home? If so please do share your pics with us on instagram using the hashtag #mybristolhome!